American politicians relentlessly claim that theirs is the ‘greatest country’ and the ‘American way’ is the best way. But if so it poses a puzzling question – ‘why do American’s die so young’. This can be seen by looking at the facts. ​Life expectancy is the most sensitive of all indicators of overall social well being. This is because it sums up in a single figure all positive social trends (high income, good health services, good education, environmental protection etc.) and all negative ones (poverty, bad education, poor health services, pollution etc.). ​International data shows that the single biggest factor in a country’s life expectancy is per capita GDP – this explains over 70% of differences in life expectancy. A person in a low income economy by World Bank standards lives approximately 20 years less than someone in a high income economy. Interestingly the difference in life expectancy between poor and rich parts of Western cities is also about 20 years. This is why poverty is a literal ‘life or death’ question. ​If a country has a higher life expectancy that would be predicted from its per capita GDP this indicates that other social and environmental factors are better than average and adding to life expectancy, if a country’s life expectancy is lower than would be predicted from is per capita GDP this indicates social and environmental factors are detracting from life expectancy. ​As the US has the highest per capita GDP of any major country it would be expected that its life expectancy would be the highest of any major country. But in fact the US has a much lower life expectancy than any other major advanced economy – as shown in the chart. An average American has a life expectancy of only 78.7 years – compared to 83.8 years in Japan or 83.5 years in Italy. 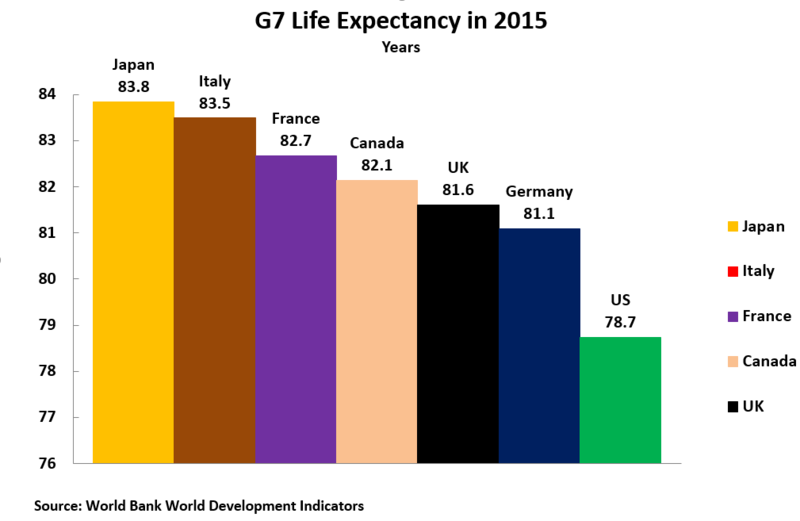 The US is the only G7 country with a life expectancy of less than 80. So if the ‘American way’ is the greatest it means that Americans chose to die young – a rather bizarre choice! ​The reality is of course the opposite.  The reality is that the data shows that the combined effects of the US private health care system, US pollution, US poverty and its interlinked racism, US civic violence etc. means that Americans die far younger than would be expected from the country’s per capita GDP. Far from the ‘American way’ being ‘the greatest’ it literally subtracts from the life of Americans. Americans, in short, are victims of the ‘American system’ – just as much as those in other countries which the US has attacked. ​Americans don’t want to die young. They are like everyone else – they would like to live as long as possible. It is just that the ‘American system’ prevents them doing so.